Michael Frank Clark grew up on the Jersey Shore, a quiet and reserved kid with a natural ability in drawing. Inspiration came from cartoons, comic strips and toys and drawing was a carefree, playful exercise. 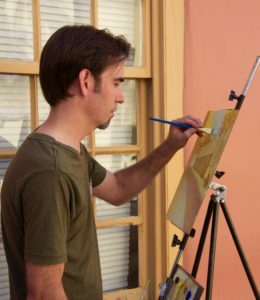 Michael’s creative talent was nurtured by family and school teachers, so following high school, Michael enrolled in the Maryland Institute College of Art in Baltimore to pursue a degree in illustration. A summer internship with a Pennsylvania-based tech company led Michael to apply his emerging design skills to the web, redirecting Michael’s career path toward ones and zeros. Upon graduation from college in 1999, Michael moved to northeast Florida to telecommute for an e-commerce start up. Over the past decade, Michael continued to work in the field of information technology for local organizations including The St. Augustine Record, St. Johns County Schools and Flagler Hospital. All the while, drawing remained a hobby which Michael largely kept to himself. The birth of Michael’s first child in December of 2010 revived his long-held dream of becoming a professional artist. Missing the camaraderie of artists which Michael enjoyed in college, he formed an art group to connect with St. Augustine’s creative community. Having supportive friendships with other artists have been a great asset to Michael, as he works toward building a portfolio to showcase his skills. 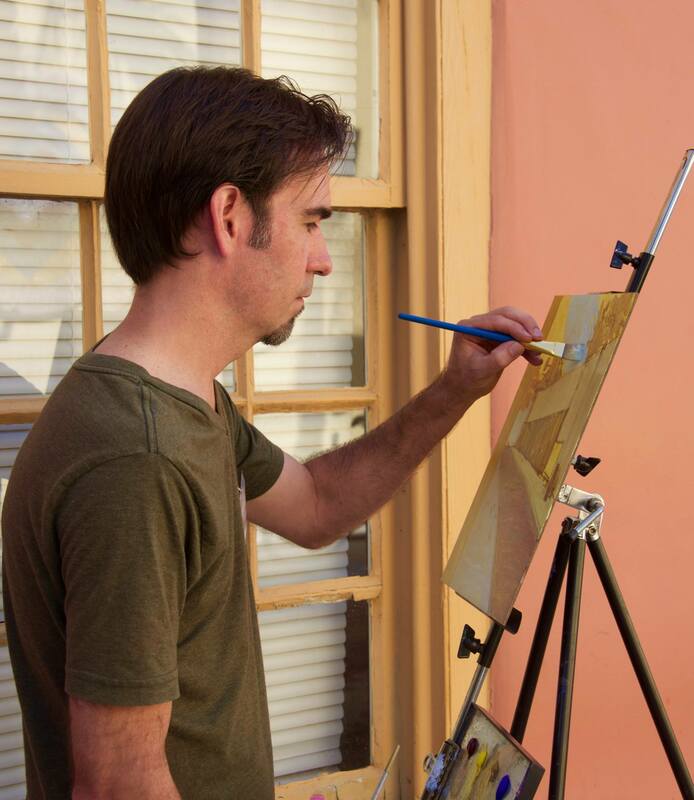 Michael received his first commission as a muralist in 2011 and began exhibiting artwork in 2012.